Pave the way foundation has been working with Reverend Richard Donahoe, Rector of the Cathedral of St. Paul in Birmingham Alabama. 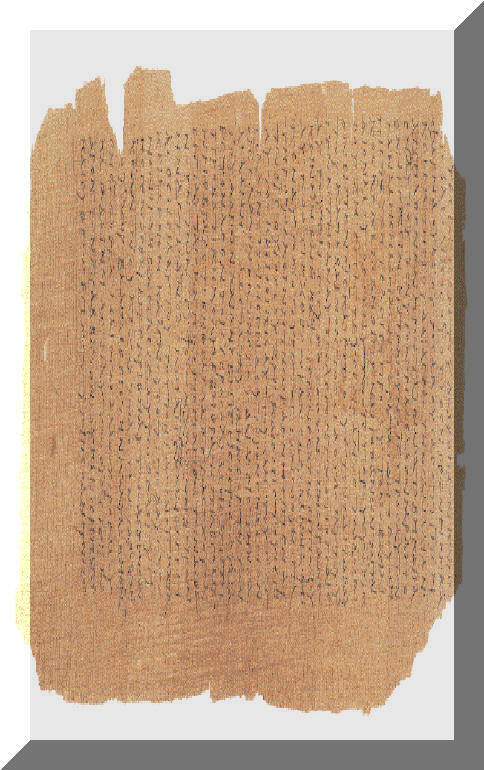 Father Donahoe was able to identify the availability of the Bodmer Papyrus. 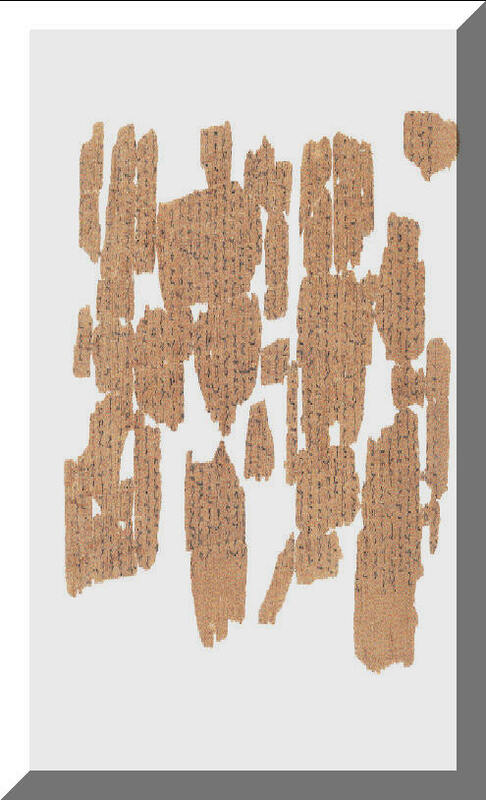 The Bodmer Papyrus is the oldest written version of the Gospels of St. John and St. Luke and contains the oldest written version of the Lord's Prayer which was written sometime between 175 and 225 AD. Pave the Way initiated contact for Fr. 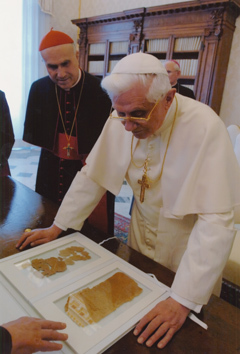 Donahoe with the Vatican Library. 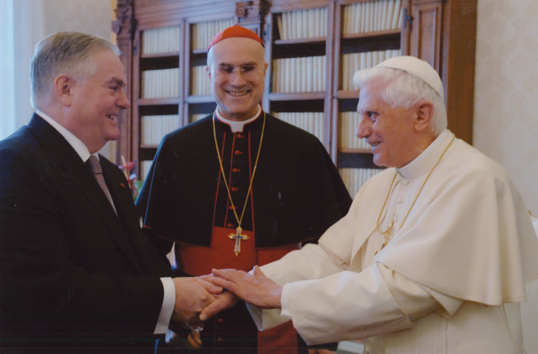 It was also through the efforts of Pave the Way that we were able to identify the donor, Mr. Frank Hanna III of Atlanta, Georgia, to help to bring this historic acquisition to worldwide availability in the care of the Vatican library. Apostolic Nuncio to the United States, Archbishop Pietro Sambi, was instrumental in helping to realize this historical event. Pave the Way Foundation is extremely pleased to have played a key role in this most historic event. 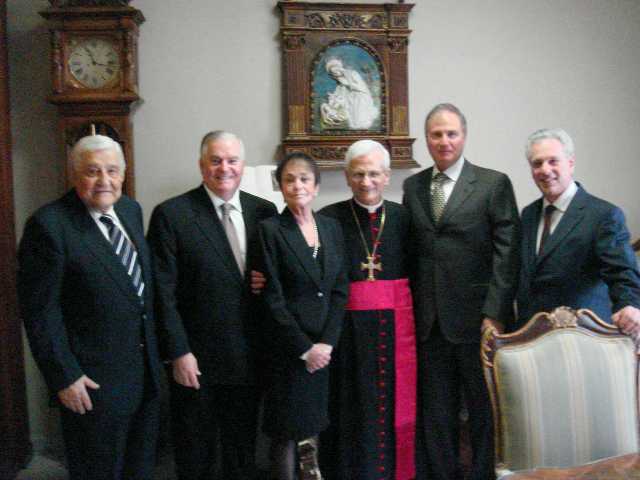 Pave the Way Foundation board members greet Bishop Raffaele Farina SBD just prior to the presentation of the Bodmer. 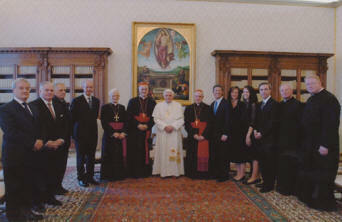 LtoR- Dr. Rolando Clementoni KCSG, Gary and Meredith Krupp, Bishop Farina, Richard Kandel and Harry Epstein. Pope Benedict XVI examines the papyrus.